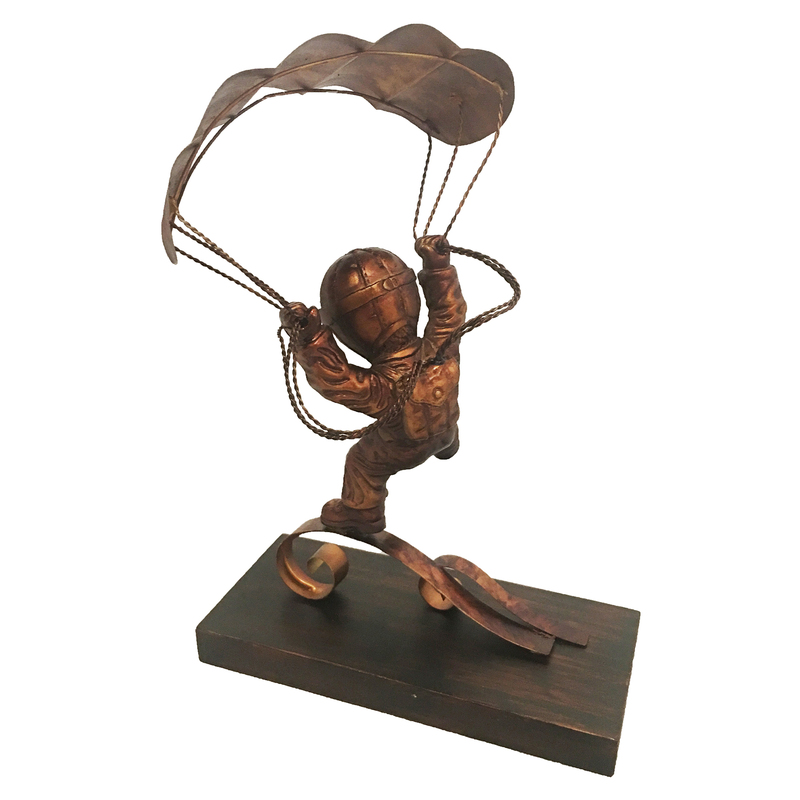 Feel the adventure of parachuting back to earth with Mr. Whimsical and his home-made parachute. 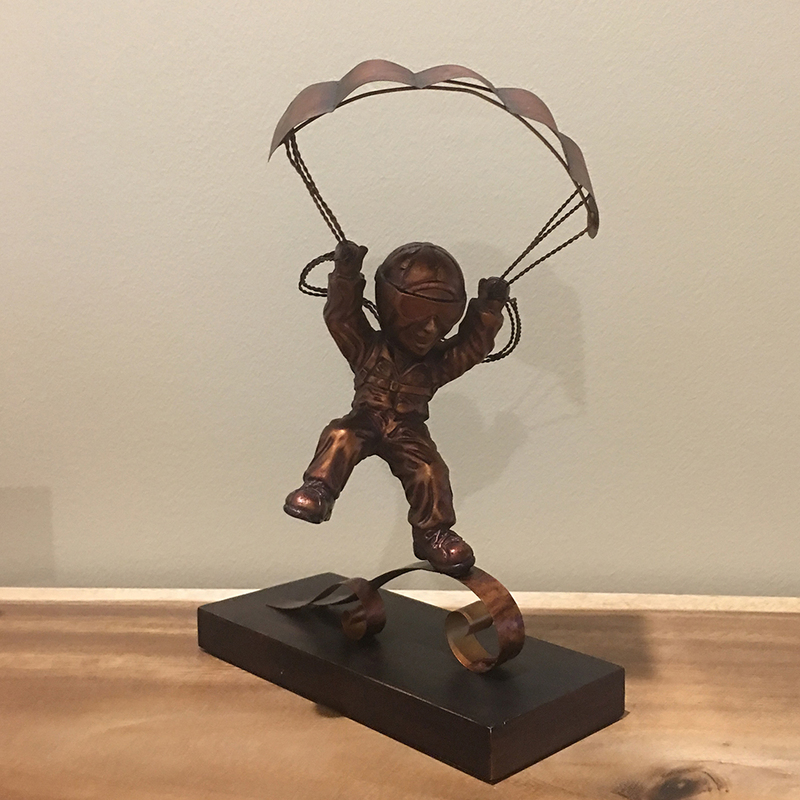 The artisan represents the speed and the movement of the statue by placing his foot on top of two hand twisted metal planks. 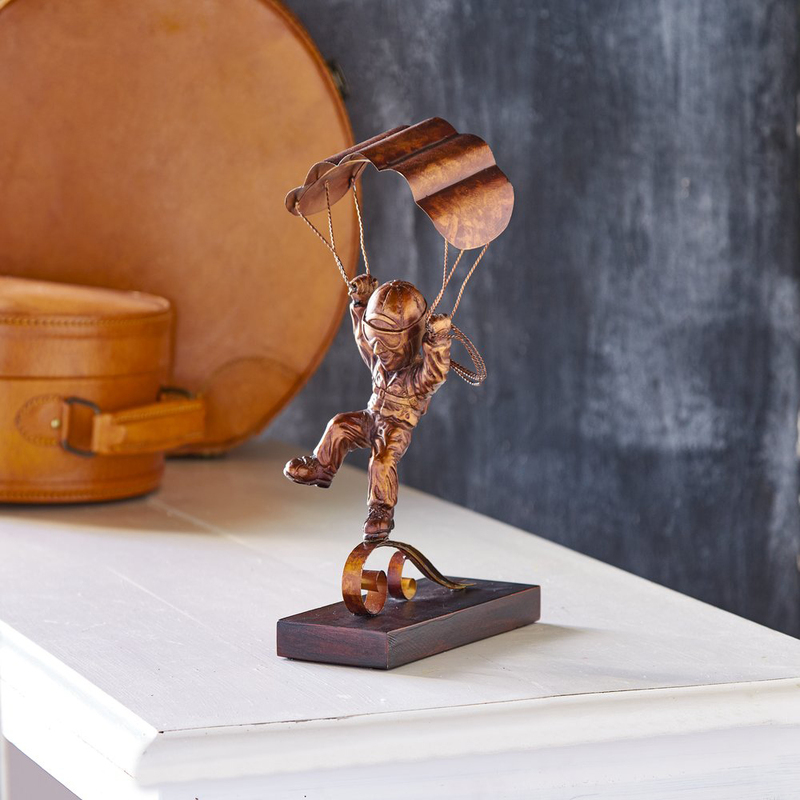 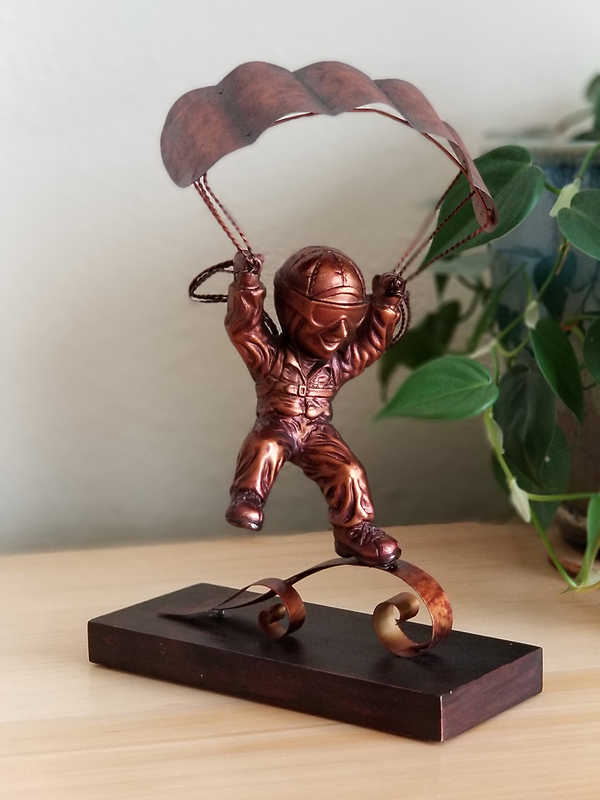 This statue represents the joy of adventure and is so universal that it will make a great addition to any room. 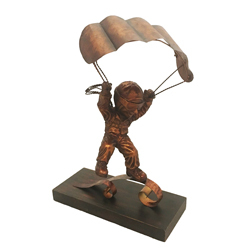 This tin based statue is handcrafted and hand painted with a distressed bronze finish. The artisans take the time to highlight details by shading them darker than the rest of the statue. 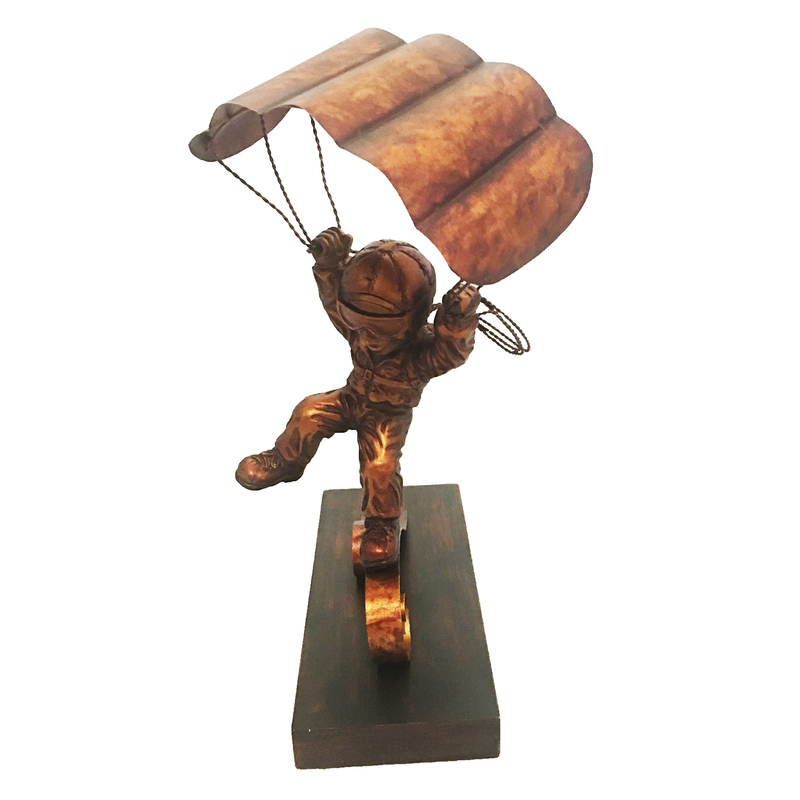 The base is a composite wood finished in a dark brown with a hint of the bronze in the color as well.